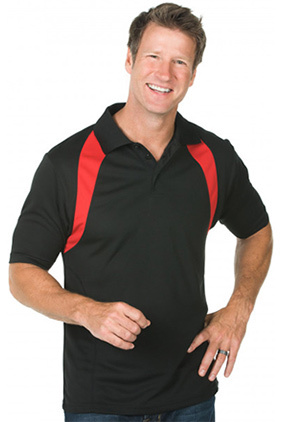 100% polyester, 4.3 ounce moisture wicking performance fabric. Reebok PLAYDRY® UV protected micro-mesh polo. Colorblock front panels with reverse stitching on side, tonal 3-button placket, & flat knit collar. Reebok embroidered on left sleeve.